You are going to Watch Fairy Tail (Official Dub) Episode 10 English dubbed online free episodes with HQ / high quality. Stream Anime Fairy Tail (Official Dub) Episode 10 Online English dub Natsu vs. Erza. Natsu challenges Erza to a fight to prove his strength, but their battle is interrupted when Erza is arrested for the damages caused during the battle against Eisenwald. Natsu tries to rescue her, only to learn that she is merely standing in a mock trial for the Magic Council to display their authority. 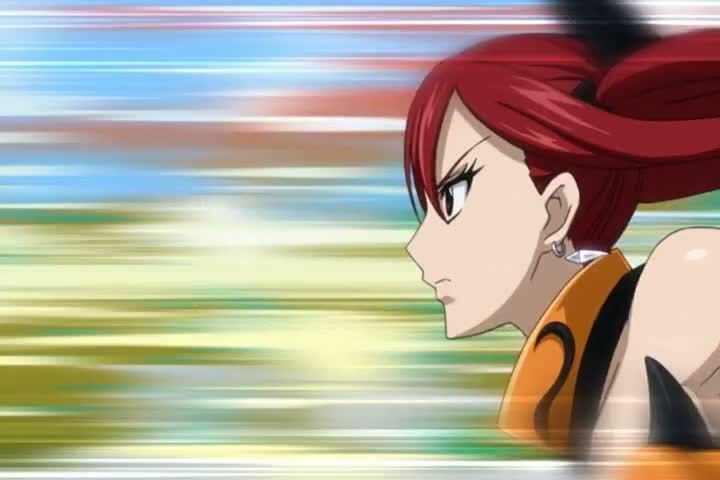 Once she is released, Natsu tries to resume their battle, but she easily defeats him. Natsu remains determined to prove himself and secretly embarks on an S-Class mission with Happy against Makarov’s permission, persuading Lucy into coming with them. 4.8 / 5 - 91 ratings.